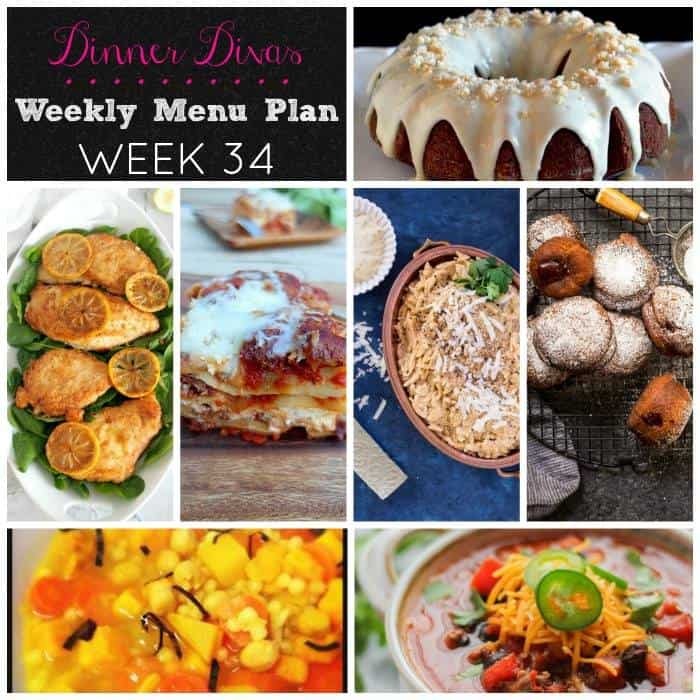 Welcome to the Dinner Divas Weekly Meal Plan for Week 34! 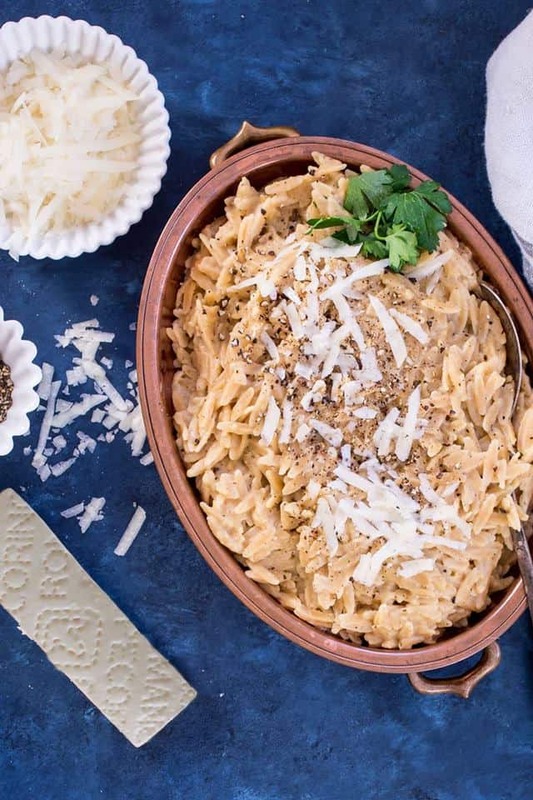 After a few weeks of themes to get you through Thanksgiving and your cookie exchanges, we’re back with a traditional meal plan of five main dishes and two sides. Hooray! Cacio e Pepe Orzo Risotto from Girl in the Little Red Kitchen. Talk about rolling all the comfort foods into one?! These are three of my favorite things all in one meal. Susan is a magician, and you must make this. Happy Monday to you! 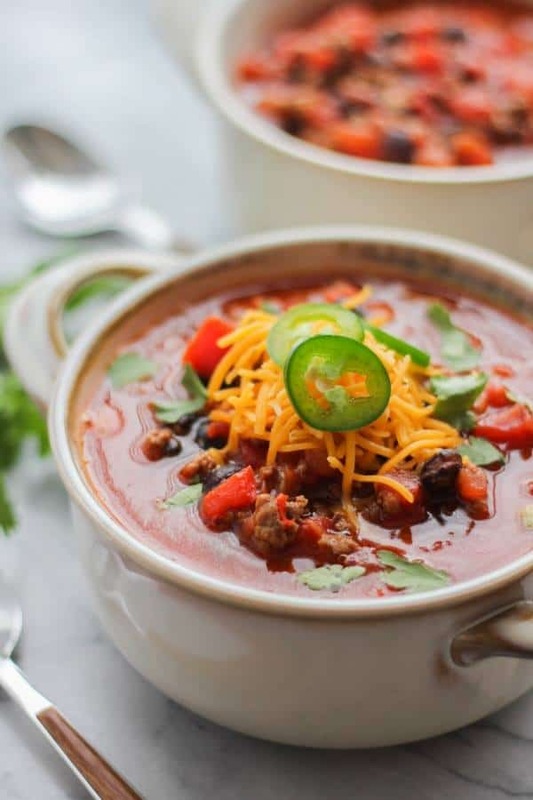 Smoky Chipotle Beef Chili from The Chef Next Door. A hearty from-scratch chili from Sarah that’s ready in under 45 minutes makes this one a go-to. Ground beef, vegetables, beans, spices. Get in line. Behind me, please! 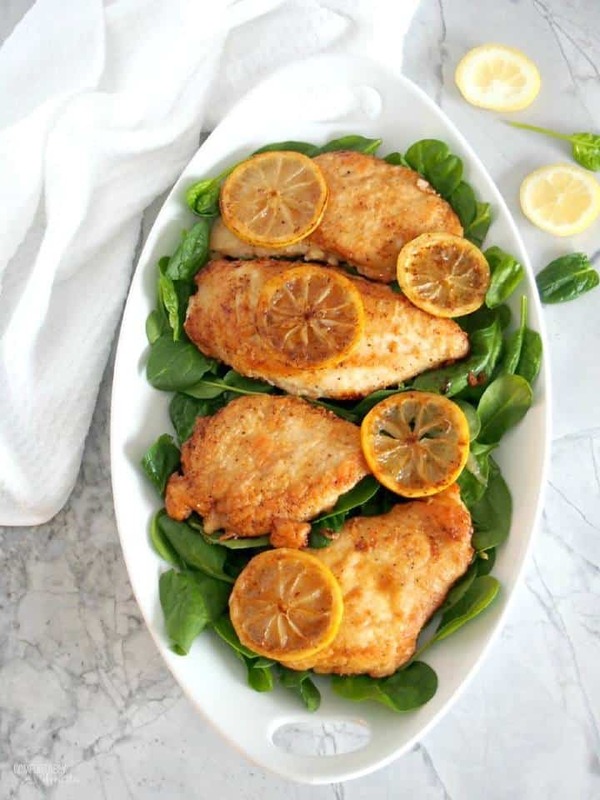 Lemon Butter Chicken from Comfortably Domestic. This meal right here? Super pretty (good for company), super easy (good for weeknight), one-pan (good for everyone!) Kirsten has cooked us up a winner! Five Cheese Hot Italian Sausage Lasagna from me. 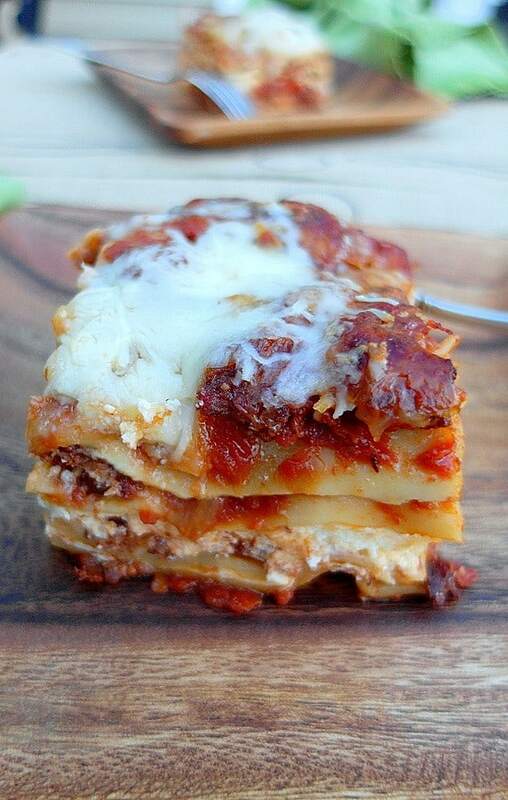 I do love a good lasagna. I rarely use a recipe–I just layer stuff up. But this time, I actually wrote down what I did, because it was delicious! I often use hot or sweet Italian sausage as a shortcut. Since they’re so highly spiced, you can significantly cut down on your ingredient list without sacrificing flavor. Give this one a try! You know how I love my extras, right? And, glory be, this week we have 2 desserts! 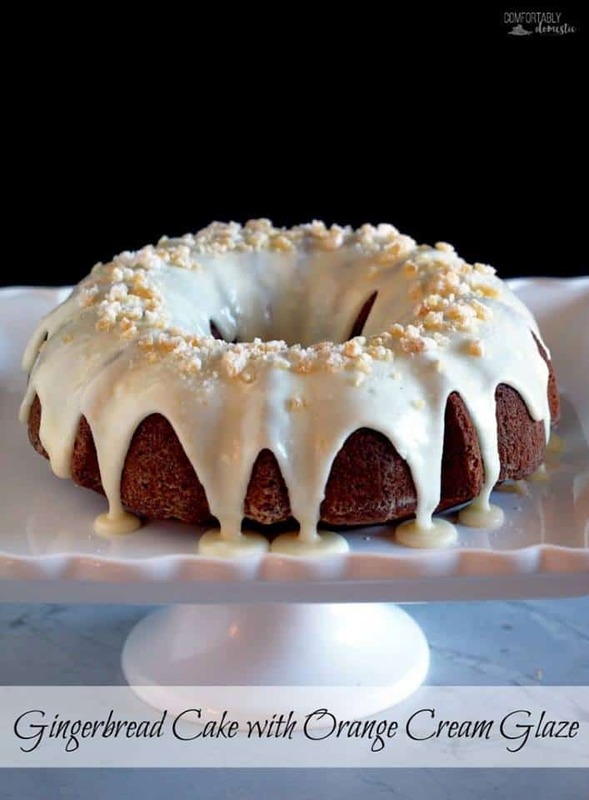 Gingerbread Cake with Orange Glaze from Comfortably Domestic. Orange and ginger are friends, and I love how Kirsten lightens and brightens up this very wintery spice cake with a kick of citrus. Perfect! 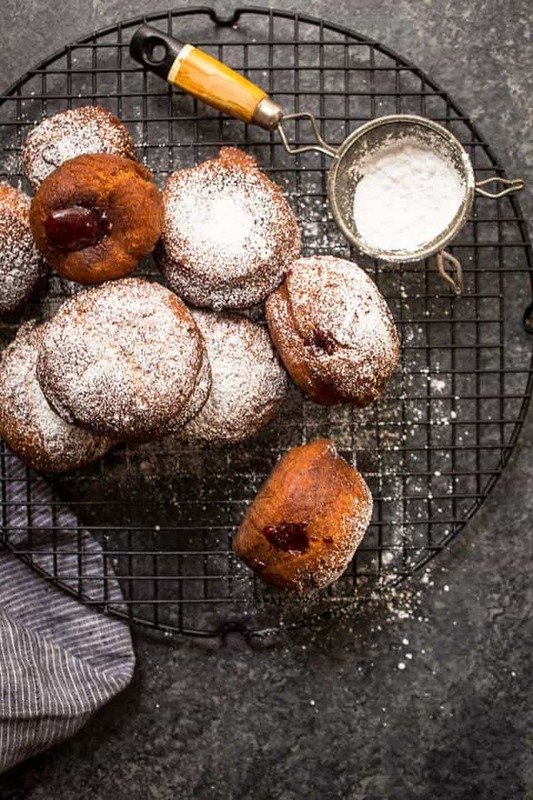 Potato Jelly Doughnuts (Potato Sufganiyot) Perfect for Hanukkah, Susan brings us these beauties. And surprise! They’re yeast free and will be ready in about an hour, start to finish! Doughnuts for everyone! And there you have it. Thank you for spending some time with the Dinner Divas this week. We truly hope you enjoy this weekly meal plan. 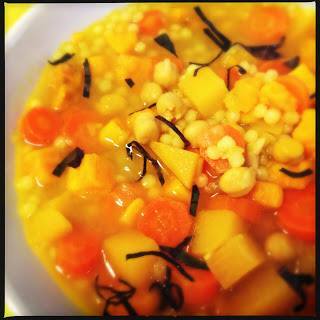 And of course you can always check the archives for all our weekly meal plan posts. So many great recipes! Take care friends. Thank you for spending some time with us today. Have a lovely day.